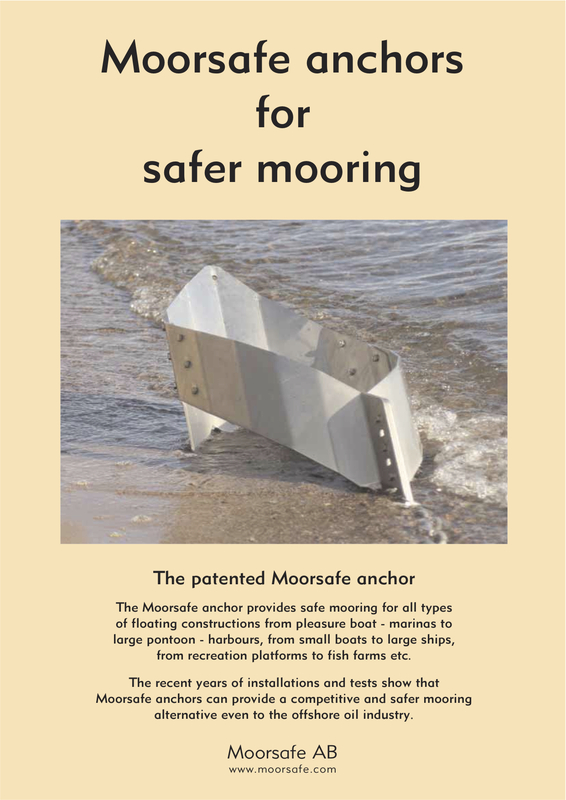 Moorsafe anchors are totally self-stabilizing in its design. There are no added on stabilizers preventing the possibility of deep and easy penetration into the seabed. Moorsafe anchors are stable even when subject to strong sideways force. 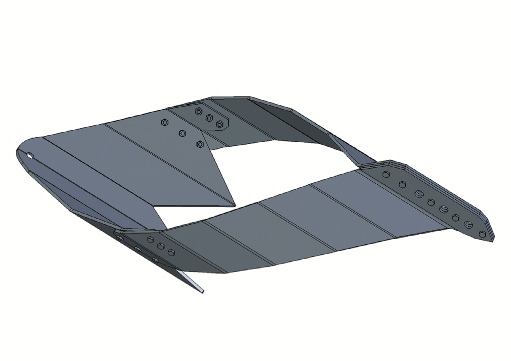 The Moorsafe design makes use of the opposing power from the seabed sediment to stabilize the construction and can therefore be produced using an extremely slender shape which again makes penetration into the seabed easier. 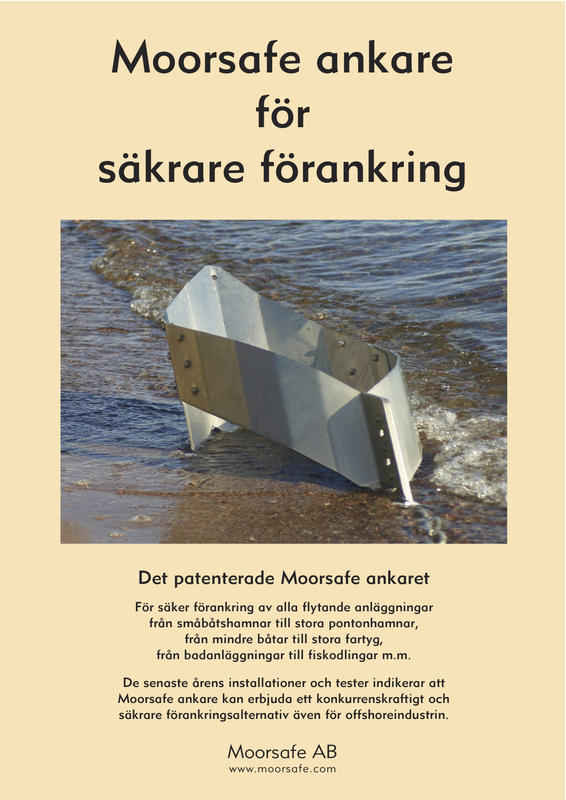 At Moorsafe we put great honor in customer satisfaction and deliver a program including advice, selection and supply of the components needed to make your mooring as safe as can be. If needed we also provide installation support. Moorsafe Anchors can be delivered in different sizes depending on the construction moored and holding power needed and are developed for rough conditions and suitable for any floating units, big or small. Shock absorber and mooring compensator. Reduces the effect of heavy sea movements and compensates during tide. We also deliver The Ring anchor (Mooringen) which is excellent for boat buoys instead of big and ungainly concrete blocks. The effect of the pulling force on the buoy chain lifts the front of the anchor ring causing the gripping teeth at the back of the ring to dig into the sea-bed. 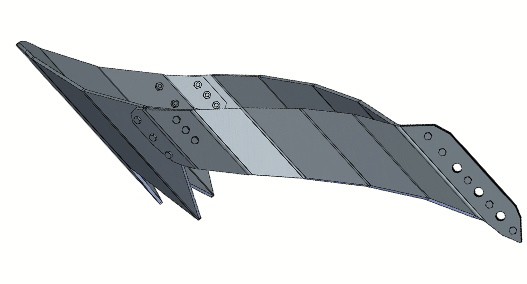 The ongoing effect of this pulling action together with the sea movement, causes the anchor to penetrate into the sand and therefore providing maximum hold. 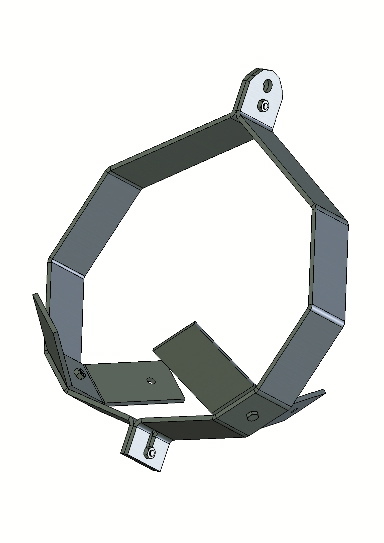 The Ring anchor is available in 4 different sizes, each with recommended weights for different displacements.